Published: Nov. 3, 2016 at 07:51 p.m. Updated: Nov. 4, 2016 at 01:01 p.m.
Week 9 ... the point where we're closer to the end of football season than the beginning. Except in fantasy. It's starting to get late in plenty of leagues with the playoffs just a handful of weeks away. This is when every roster move and lineup decision becomes even more critical. The doors of the church of the Stockwatch are open. All are welcome inside. It's finally happening. We expected that Henry was eventually going to start earning a bigger share of the workload in the Titans backfield and it's going to begin this week, according to head coach Mike Mularkey. 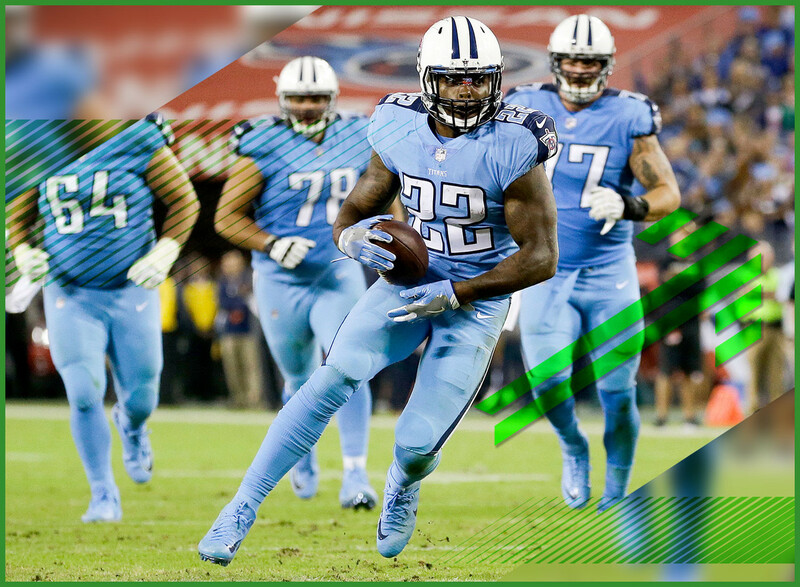 Whether it's a case of the Titans finally noticing Henry's overall effectiveness or fears of wearing down DeMarco Murray, the rookie is going to get more looks. That's particularly great news against San Diego's bad run defense. To watch Michael is to see a back who is still running hard. Alas, he's behind an offensive line that is struggling this season. The other problem is that C-Mike will start to find it crowded in the backfield. C.J. Prosise is healthy and starting to see more work in the Seattle offense while Thomas Rawls is expected back in the very near future. We feared that this backfield could become a committee and it looks like those fears are being realized. While one committee is forming, it looks like another one is disbanding. After his unexpected 200-yard performance against the Vikings on Monday night, all signs point to Jordan Howard putting a stranglehold on the Bears' starting running back job. Huzzah! Too bad that by the time we've figured all of that out, it's time for the Bears to go on a bye. C'est la vie. If you look at the Colts' passing numbers, you'd be hard-pressed to think there's anyone on the field other than Hilton since he's owned a ridiculous target share (27 percent). So it's pretty bad news for both the receiver and his team when there's concern that a balky hamstring could keep him out of action this week. Whether or not Hilton suits up, it could mean more opportunities for Donte Moncrief to make plays in the downfield passing game. Kessler is working his way back from a concussion that took him out of the Week 7 contest against the Bengals and forced him to completely miss the Week 8 loss to the Jets. The Browns have officially named him the starter, so the rookie will get a shot to continue in the role on an 0-8 team looking to evaluate for the future. It also doesn't hurt that he's been the Browns' most consistent signal-caller all season. A trio of Kessler, Terrelle Pryor and Corey Coleman offers some intrigue. Spencer Ware is in concussion protocol. Jamaal Charles is on injured reserve. That thrusts West back into the spotlight for the Chiefs' running game. West has had 20 or more touches three different times during his career, most recently against the Broncos in Week 10 last season. With few other legitimate options behind West in the rotation, this very well could be his fourth 20-touch outing. Sproles had been retaining a modicum of value because he was allegedly the Eagles' top running back. But with head coach Doug Pederson saying that Ryan Mathews will now assume that role, Sproles becomes very expendable. He's already seen his share of snaps and touches decrease and wasn't getting any real goal-line work to begin with. If we're now not even pretending that he's the No. 1 back in Philadelphia, then what are we doing? Henry was extremely productive a few weeks ago when Antonio Gates was nursing an injury, but now that the veteran is back, the rookie has seen his snaps and targets decrease. To make matters worse, he's been kept out of practice this week with a knee issue. It's questionable whether he'll play against Tennessee and even more uncertain how effective he can be if he does actually suit up. Inman isn't the first name you think of in the Chargers' passing game, but he has had a couple of nice outings this season. He could be called upon to do more this week with San Diego banged up at wide receiver. Both Travis Benjamin and Tyrell Williams have been limited at practice this week with Benjamin looking unlikely to play. Inman could see an increase of targets in Week 9. It appears that we've reached the end of the James White portion of these proceedings. The Patriots' pass-catching running back was little more than a touchdown-dependent flex play in most leagues. With LeGarrette Blount doing most of the heavy lifting in the running game and Rob Gronkowski doing work as a pass-catcher, it doesn't leave much for White to eat. Oh ... and more importantly, Dion Lewis is coming back as soon as Week 10. Time to put White back on the waiver wire.